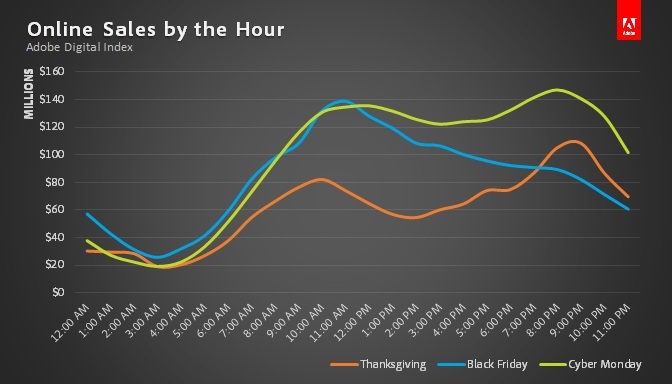 Door-busters, Black Friday, Cyber Monday: According to Visa, 140 million people plan to shop over Thanksgiving weekend this year – a significant decrease from the 247 million who did so in 2012. 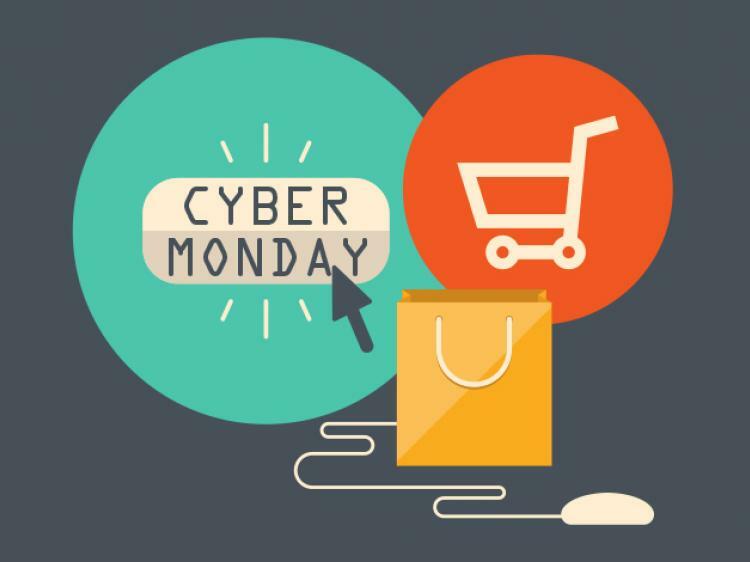 Nonetheless, 37% of Americans said they will shop on Black Friday, while 34% plan to shop on Cyber Monday. And that means security risk for companies, whose employees will undoubtedly be shopping online during work hours. And the whole circus runs through New Year’s Day. 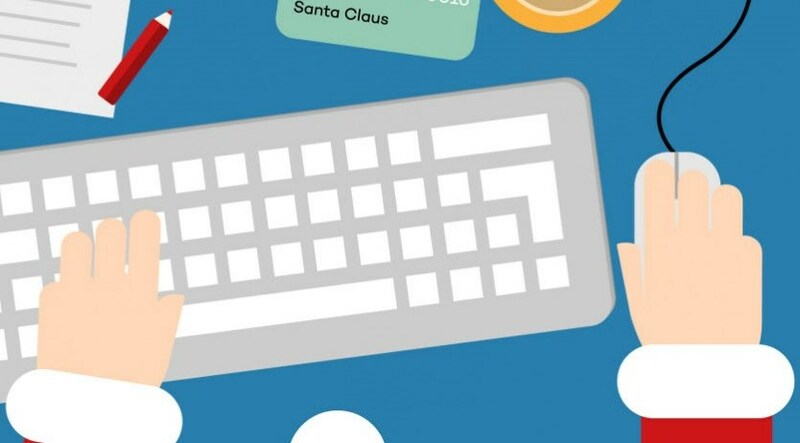 “… the second annual “Shopping on the Job: Online Holiday Shopping and Workplace Internet Safety” survey found that half of those surveyed plan to holiday shop online using a work computer. 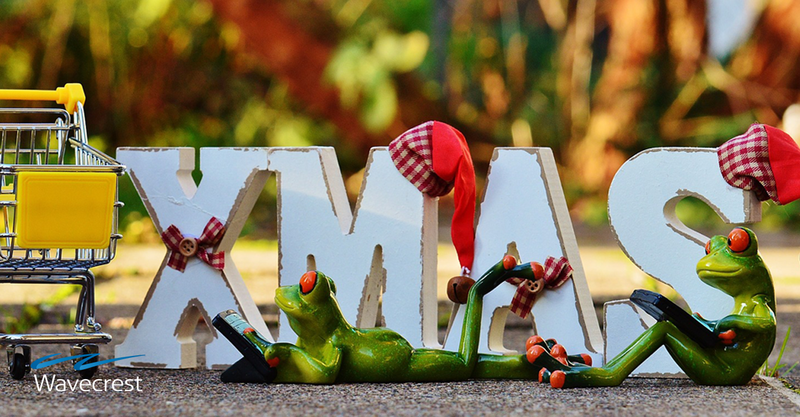 In addition to generating network security and performance issues, online holiday shopping is a huge productivity waster for businesses. When workers are shopping, they’re not ‘minding the store.’ Accordingly, this is a good time for all types of organizations to take stock of their Web-use management practices and seek help if needed. Wavecrest Computing is ready to provide that help. 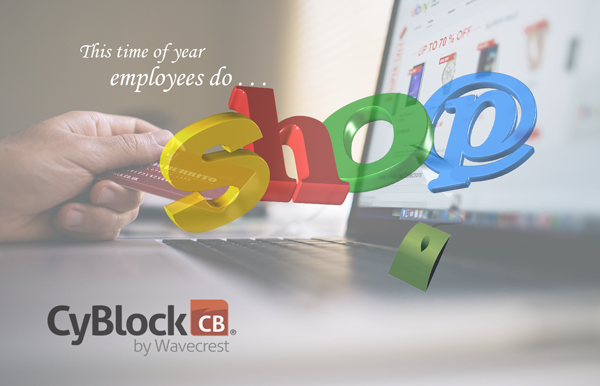 Wavecrest’s Cyfin and CyBlock products and services help all types of organizations manage and control inappropriate and risky personal surfing of all kinds, including shopping. Cyfin and CyBlock products do this by monitoring and/or filtering employees’ Web use and reporting on the activity by content categories, e.g., shopping, sports, games, and others. 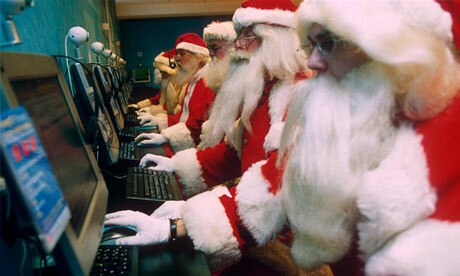 Of particular note, with regard to holiday shopping, CyBlock products can be set up to block Web access by categories and by hour so employees can access shopping sites on their lunch break or after hours. This approach can help sustain morale while minimizing the risks associated with online shopping. For 13 years, Wavecrest Computing has been providing Internet filtering and monitoring solutions to business, government, and educational organizations worldwide. Wavecrest’s customer base includes well-known names such as the HP, Procter and Gamble, Burlington Northern Santa Fe Railway, Bridgestone, Mazda and many others.